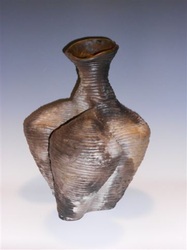 My work is handbuilt of Stoneware clay. The coils, balls and slabs are rolled out by hand which allows slight variations in sizes and shapes of the individual elements. My larger designs are created by combining and shaping these elements into bowls, vases, covered containers, wall hangings, etc. 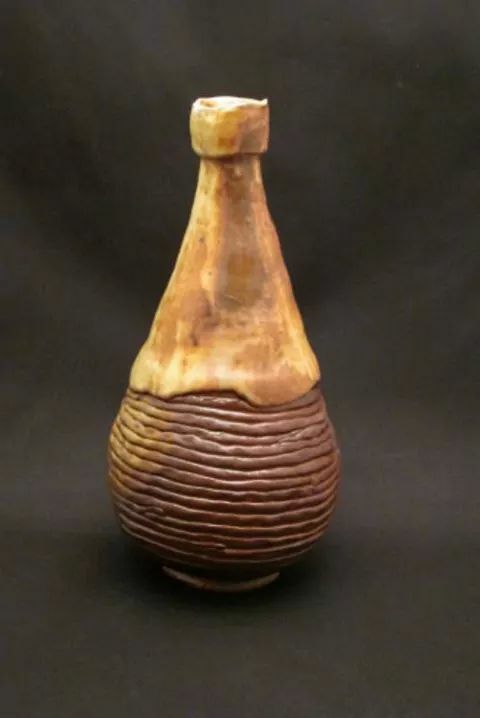 The work is accented with glazes and stains, however, a significant portion of the pottery is allowed to remain the natural color of the clay. After growing up in Lincoln, Rhode Island, and attending art school in Providence, I moved to Cape Cod and settled in Mashpee. My work is greatly influenced by my life on Cape Cod. Being an avid kayaker and hiker, I gain inspiration from the personal approach it affords me to delve into the intimacy of the Cape Cod landscape, its wilderness, ocean, rivers, ponds, salt marshes and sea life. The coils and slabs are designed into forms which elicit a sensation of one, if not all, of these natural resources.